To no surprise of anyone, I’m back today with another band / concert tee centered outfit! 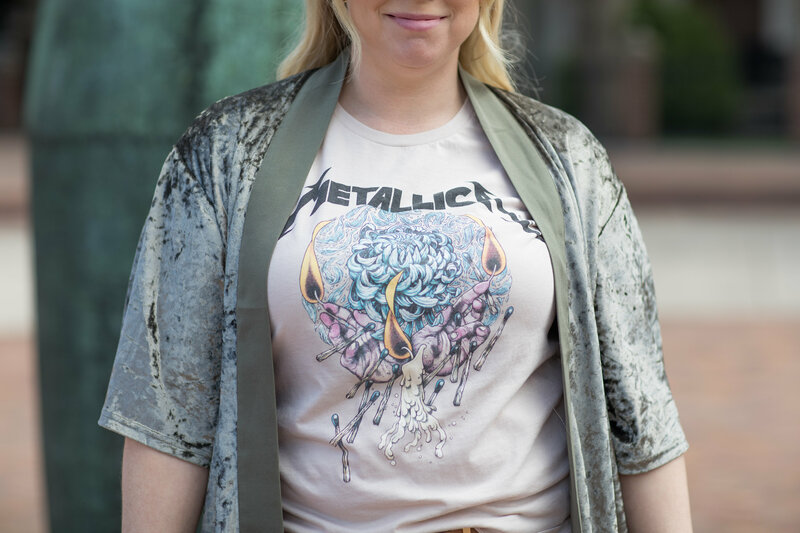 Everyone has their go to look, and for me it is clearly throwing on a band / concert tee on with anything in my wardrobe to make an outfit that I feel comfortable and true to my style while wearing. To me, this type of outfit feels like a great way to really let your personality show through without speaking a word. Someone can walk by a person wearing a Britney Spears tee, and someone in an ACDC tee and immediately make assumptions about their personality type. 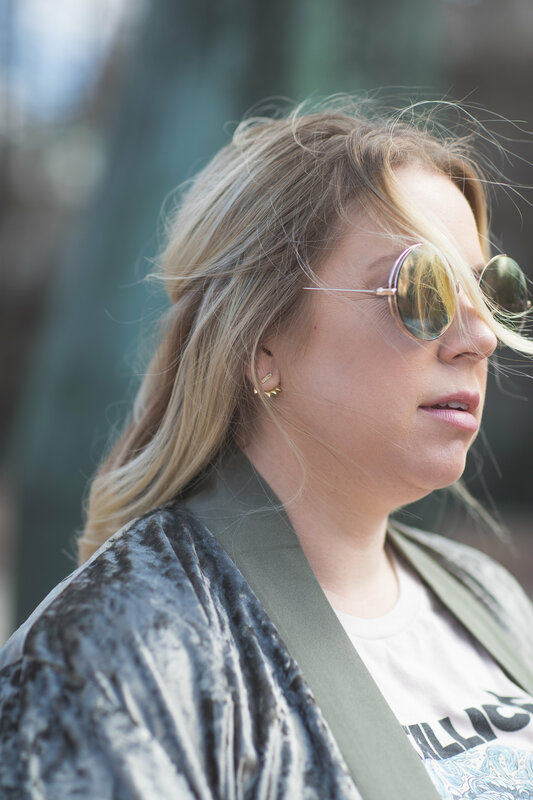 Since I seem to hover in this comfort zone, I figured I’d throw a few tips and tricks to making this style work and tailoring your outfit to your personal style! Paired with a long, flowy skirt. 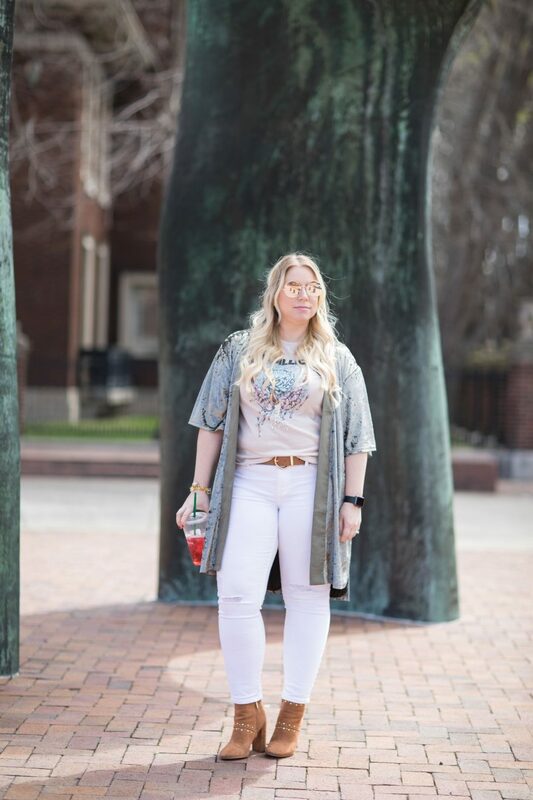 This is a good contrasting outfit, since band tee’s tend to be immediately edgy – this will turn your overall style more feminine if that’s what you desire. A great example of this can be found HERE. Band tee with bell bottoms. This look would be perfect for you if you tend to gravitate towards more “hippie” type looks and pieces. 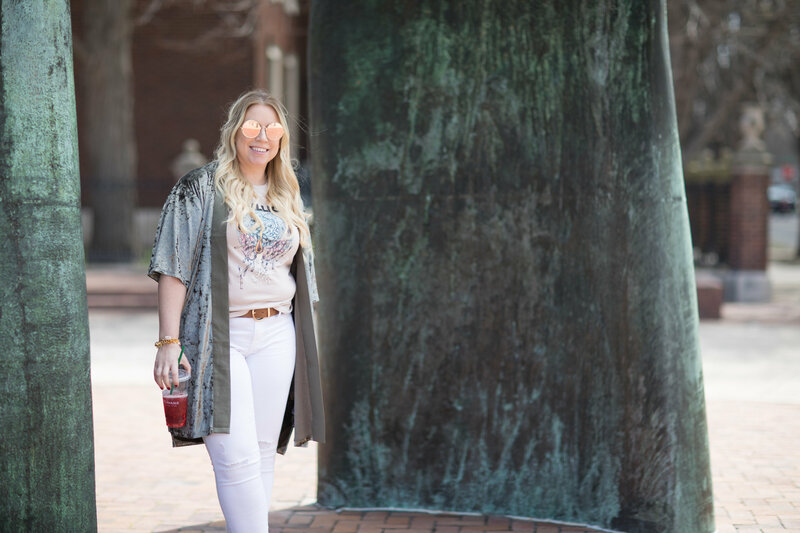 Bell bottoms can look uber chic if the fit is right, and pairing your favorite concert tee with them will make you look like you just stepped out of an updated version of Dazed and Confused. 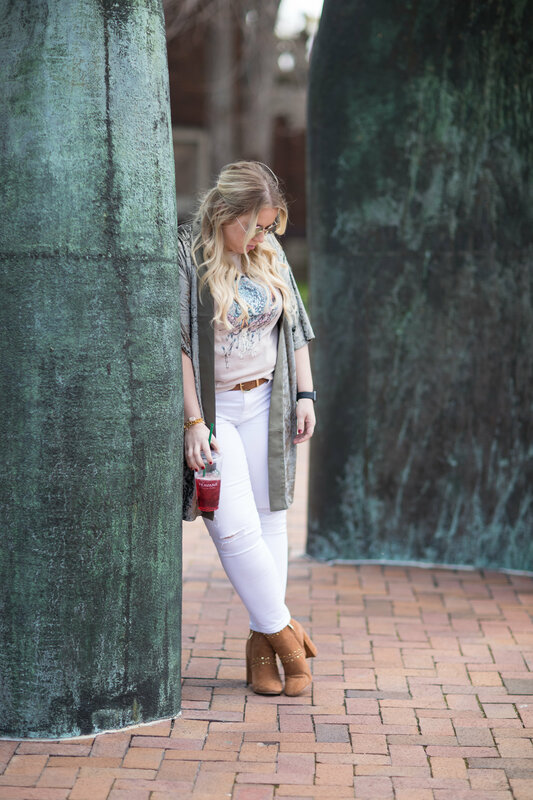 Check out how THIS girl majorly succeeded with this look! Band tee with a trench coat. This is perfect for the more neutral loving, structured girls out there. It gives you the slightest bit of character without being too in your face with your love of music. Check this girl out to see exactly what I’m talking about! Makes sense now, right? Band tee with leather pieces. If you want to be 100% bad a** rock girl, definitely throw a leather jacket or leather leggings on with a band tee – but not both. That, IMO is overkill! Adding anything leather will give off all kinds of edgy vibes, and bonus points if you layer black and silver jewelry along with it. These are definitely ultimate “cool girl” characteristics. Need an example? Check out THIS! These looks, while all very different, are perfect for night and weekend wear. 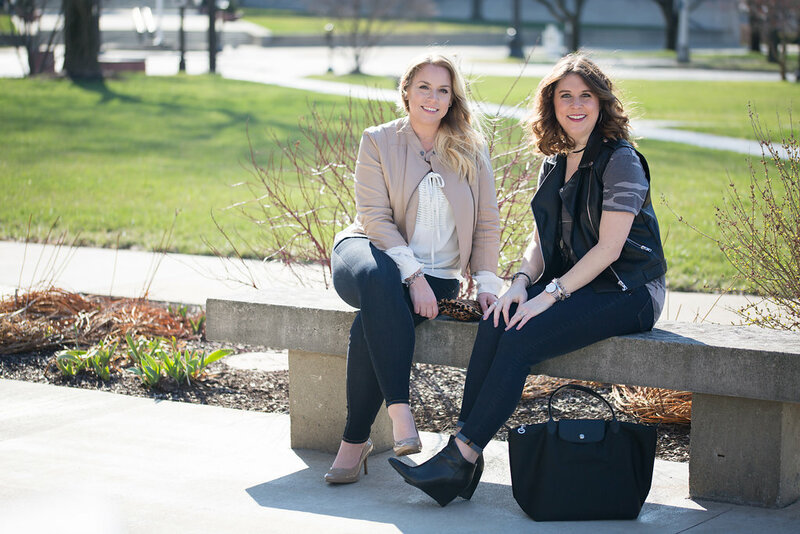 Depending on how you decide to style it – you can go anywhere from brunch with your girlfriends to a date night with your significant other! Curious on where to buy these tees? Well thankfully, these have been very popular for a few years and you can now get them almost everywhere and at any price point! My favorite place to pick them up is at the merchandise tent of actual concerts that I attend – this gives me that great nostalgic feeling every time I throw one on, that cannot be replicated from a store bought item. Artist promotors have caught on to this trend, and are offering a wide variety of styles to choose from at these events – from baseball tees to tanks and everything in between. Worried about the fabric quality? Don’t be. I’ve found my softest tees are now the ones I’ve picked up at concerts! Not going to a concert anytime soon, or don’t want to wait in the merch line (been there)? 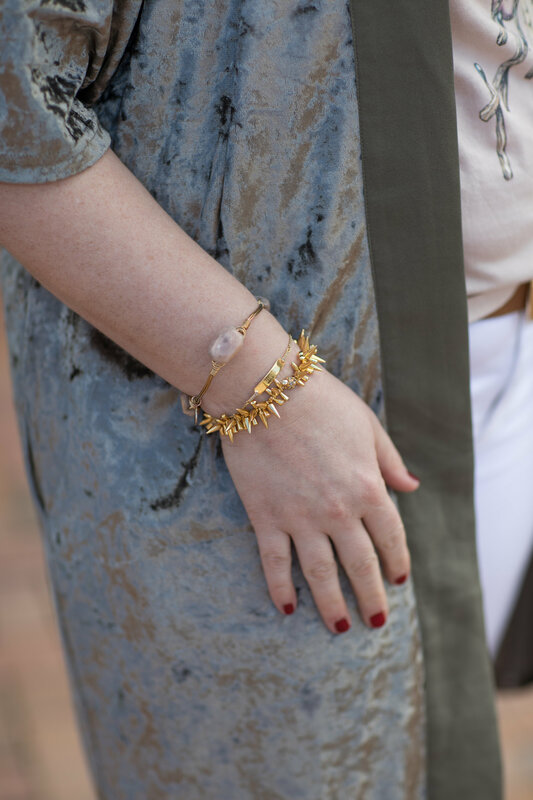 These can be found everywhere from Target for less than $20, or if you’re feeling super bougie you can grab a Madeworn tee – which I’m trying to convince myself now that I need!